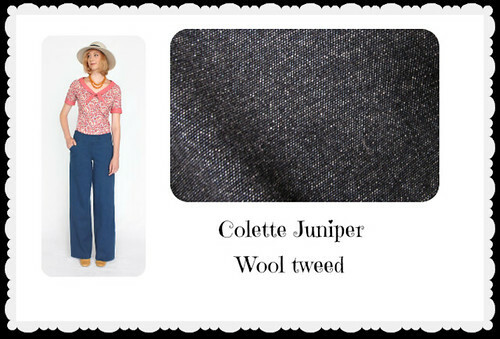 Colette Juniper – assembling the pattern. Back again – thanks so much for your well wishes on my interview. Not only did it go well, much better than expected, but it turns out that one of the positions I applied for earlier this year is open again – I don’t know what happened, but they called me for an audition – yay! Yes that is packing tape – I didn’t have anything else! I taped the sheets the same way I do Burda – I cut the right hand side of each piece off at the line, and the top margin on everything except the top row. You will overlap the cut end over the uncut end, matching the triangles. This allows for a sturdy pattern, more than just cutting everything and taping. 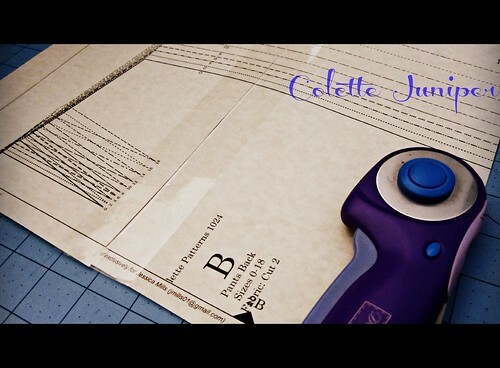 Here is my number one tip for cutting patterns. 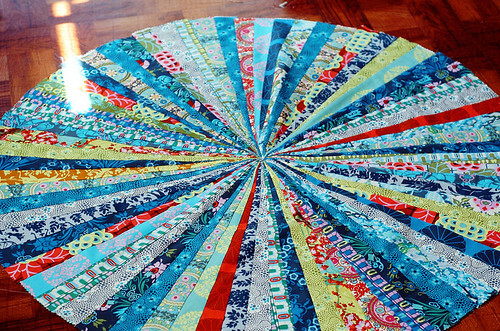 Buy a second rotary cutter and use it for cutting paper on your mat – so much faster! I bought a basic cutter when I first started but ended upgrading to a Olfa. The other one gets used for paper. It will dull blades eventually, but it’s not so bad. As is typical for me, I ended up with my pieces a little off at the end – I usually make sure to preserve the cutting lines and don’t worry. It took about an hour to tape and cut. It is a lot of work, but I didn’t have to wait for my pattern in the mail! In addition, I’ve used Colette tissue patterns, and unless they have changed manufacturers I wasn’t thrilled – the tissue was very thin, worse than the big 4! This way I can put the PDF on my Ipad and not have to print instructions. I am not making a muslin – I measured the pants against a similar pair and they are close. I will baste and fit. 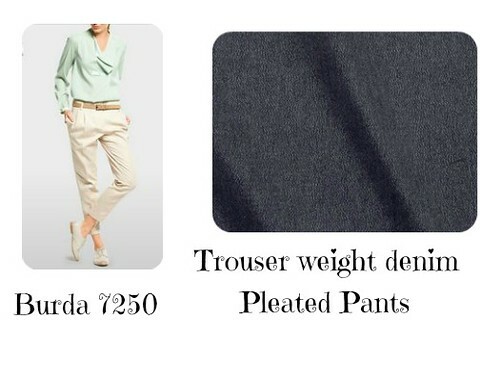 Thanks to your suggestions I found a pattern similar to the Papercut pleated trousers I loved – Burda 7250. I will leave off the cuffs and lengthen instead. 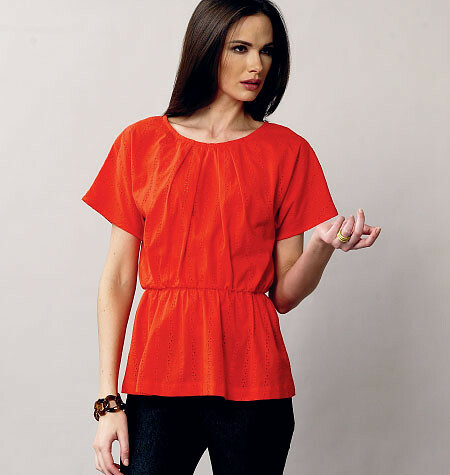 Fabric is technically a denim, but very lightweight with drape – more of a trouser style. I hope they are cute! 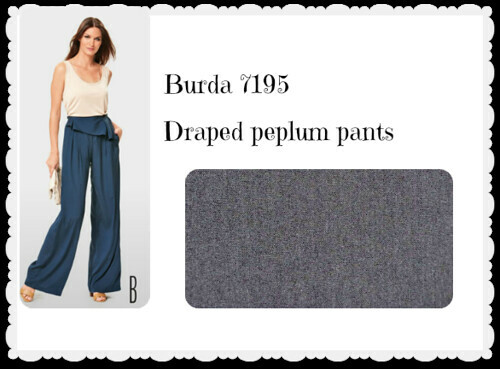 While I was going through the Burda catalog I found these pants – Burda 7195 is an elastic waist pant with a cute little assymetrical peplum. So unusual! My husband was sort of horrified by these, but the cutting counter girl assured me that they were stylish. I will use a drapey, lightweight RPL suiting. They call for really light fabrics like challis, but for fall I wanted a suiting. If they work out in my cheap suiting I will make them again in black, so I can wear them for concerts. I’ve had a bit of a disappointing month (other than the new job, which I love!) which might account in part for my recent silence. I had an audition for a grad school program, which went fine, but then I was interviewed by 7 people at once, which did not go as fine, leading to me being rejected (luckily I wasn’t attached to this school – I’ll be happier elsewhere I suspect!) Then I had a job interview for a part time gig, which I thought went really well, but again – they did not go with me, and I didn’t even get to the audition bit this time. I have a sneaking suspicion that I’m a terrible interview. I’m rather introverted – at least with new people – and I really don’t do well with large committees interviewing me all at once (both had 7 people asking me questions). Heck, I don’t even like to go to dinner with 7 people at once, because it’s overwhelming, much less have to answer questions about myself and pretend to be extroverted! It’s frustrating because I don’t actually think there’s anything wrong with being introverted, but I feel as though I’m at a disadvantage in any sort of quick judgement/first impression sort of situation. I’m reading the book Quiet, (recommended by Robyn!) which I highly recommend to my fellow introverts – unlike other books I’ve read, it doesn’t try to make me feel like I have a disease that needs to be cured. Anyway, I’ve been doing a lot of sewing to make myself feel better. I’m got several projects nearly completed, so here are some previews! My tie-top curtains are nearly complete – they’re just awaiting a hem and curtain tiebacks. I love the little horses! It took less than ten seconds for two cats to claim, and it’s not even fully stuffed yet. I think it’s a hit! (not mine – I’m still waiting on my fabric!) I haven’t done any needlework in ages. 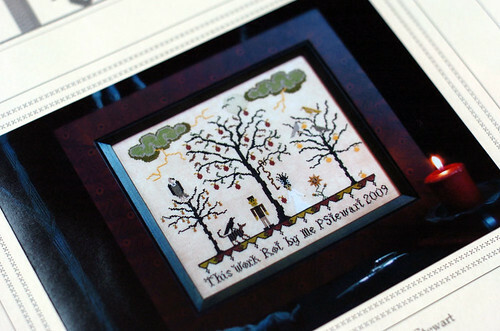 I love this sampler -it’s called “The Garden of Eerie” and is designed by Plum Street Samplers. Love the little Frankenstein Adam and Eve and the “This Work Rot by” text at the bottom. This is technically Halloween themed, but I’ll keep it up all year – I have a little collection of macabre/day of the dead items in my dining room. 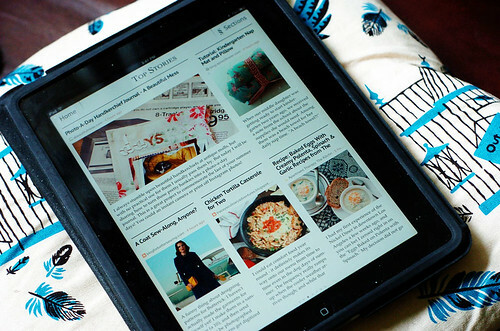 I also got an Ipad this week – one of my friends wasn’t using his, and was happy to pass it along. 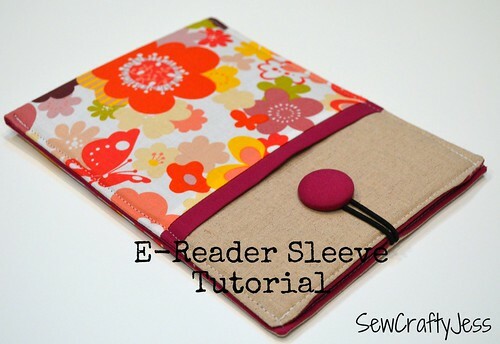 (pattern here: by SewCrafty Jess) It’s for a kindle, but I can adjust the size. That’s my update for the day. I am starting to think about my fall wardrobe, but right now I can’t actually access my closet very easily to assess what I need. Hopefully soon! 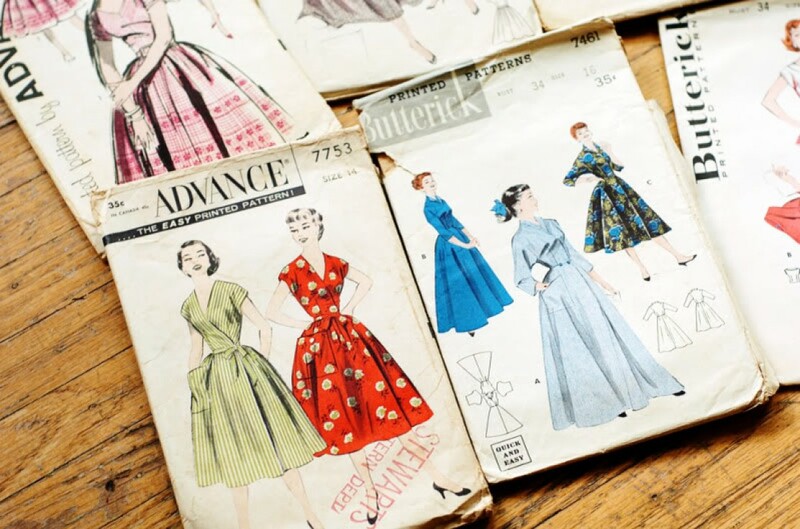 I’ll admit it: I sew mostly with big 4 patterns. I’m lucky enough to be a standard size, and they are cheap and plentiful here in the US (with pattern sales!) 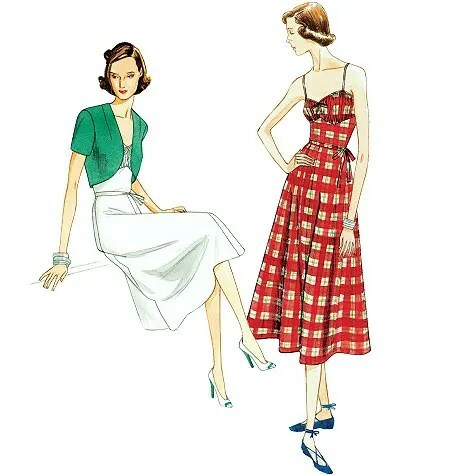 I’ve made several Colette patterns and a few Burdastyles (though none from Burda magazine or envelope patterns.) 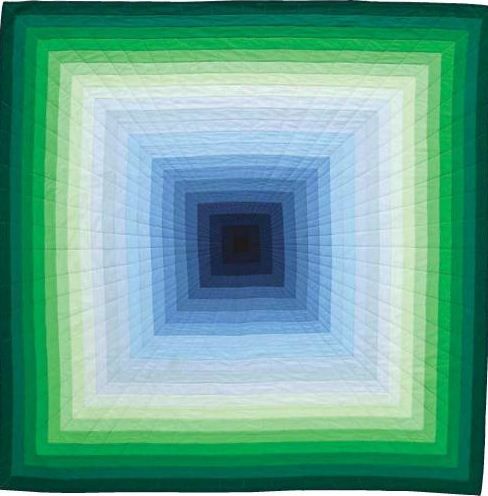 One Jalie pattern, if they count as indie. But otherwise? Nothing! I found a good list of links to smaller pattern designers at A Good Wardrobe. I’ve spent way too much time today (on my day off) going through the offerings and dreaming of what I could make. I thought it might be fun to spotlight my favorite designs! 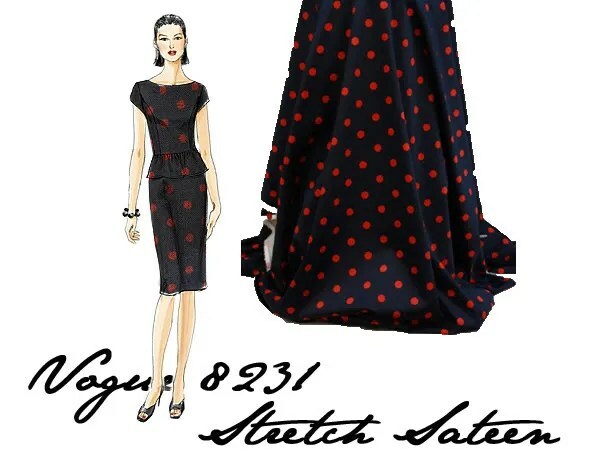 This vintage inspired dress calls for knits (my favorite!) I love the bias binding around the keyhole neckline. Style Arc is an Australian company. 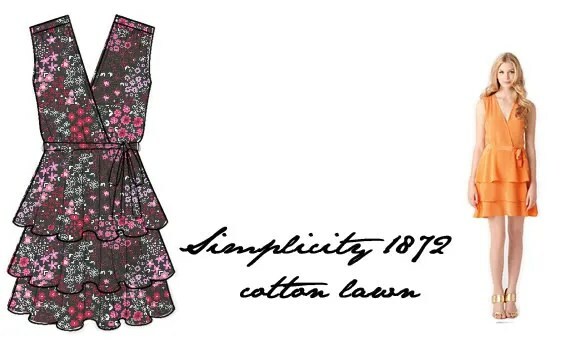 I actually had a hard time picking my favorites, as there are so many fashion forward designs on their site! The patterns are very well reviewed as well, which is always good when dealing with an unknown (and international shipping!) I love both designs – they are easy to wear knits, but they aren’t boring. 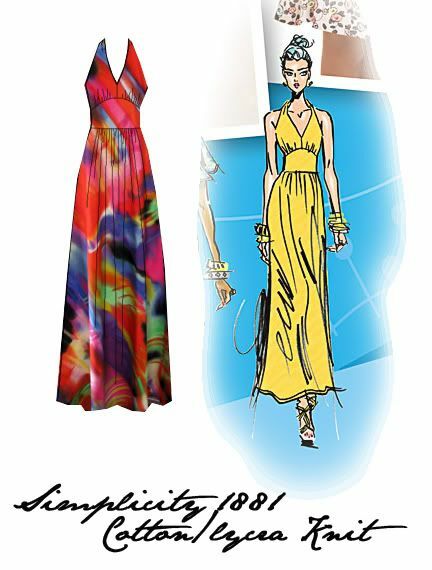 I’m picturing the top in a solid drape with a contrast stripe knit as the built in camisole, and the dress in a dark jewel tone. I really like the look of the designs from Victory patterns. They’re retro without being too literal, you know? 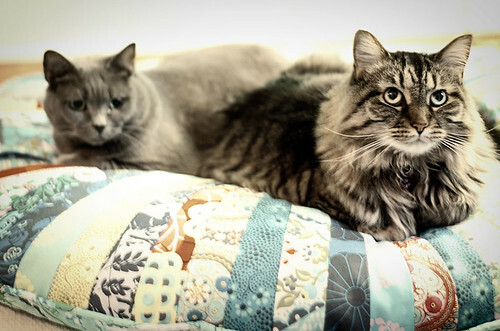 I can’t decide between these two – I want a striped Chloe and a pretty top version of Ava. Cute, right? I like the scallops, and they aren’t too much. 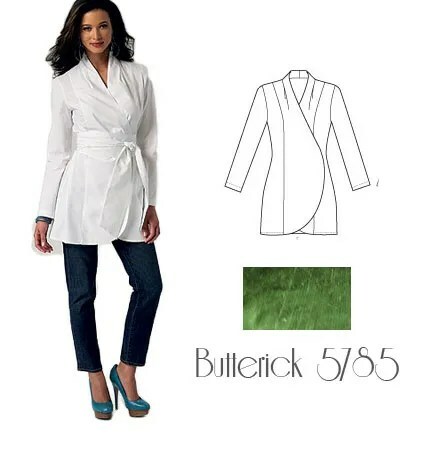 I would make these from a suiting type fabric – something with a little drape, not a stiff twill. I like the fact that they have a side invisible zip, as flies are my worst enemy (Oh, I can sew them, but I always think they look homemade.) They have welt pockets in the back, which I haven’t tried before, but I might be ready! 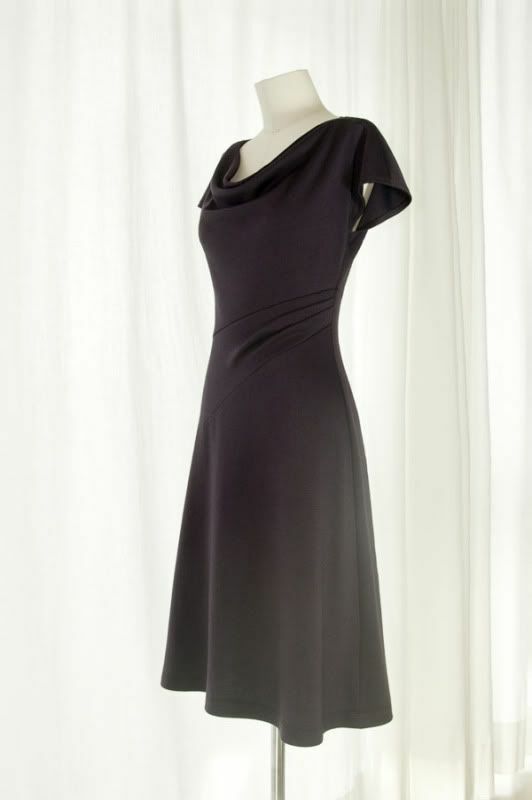 This dress is a contest winner from “Your Style Rocks,” a website I stumbled across today. The best part? It’s available to download for free! Love the cowl and side pleating. 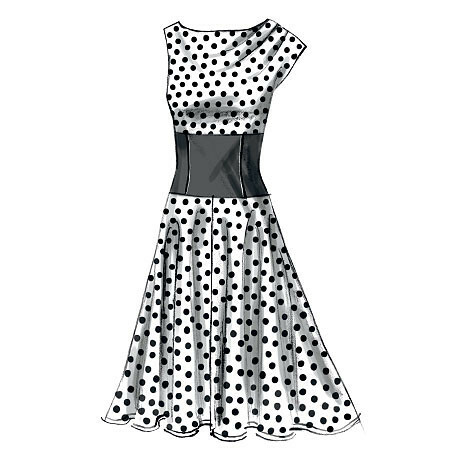 I wouldn’t change a thing – this is pretty much my platonic ideal concert dress! I’m ashamed to say that I have yet to make a Sewaholic pattern. I’d like to change that – Tasia is a sweetheart, and I’m so glad to see her success! I like the version above, in a more subdued fabric. I have so many sundresses, you don’t know, but I need more officewear! I love the sweetheart neckline and the wide sleeves. 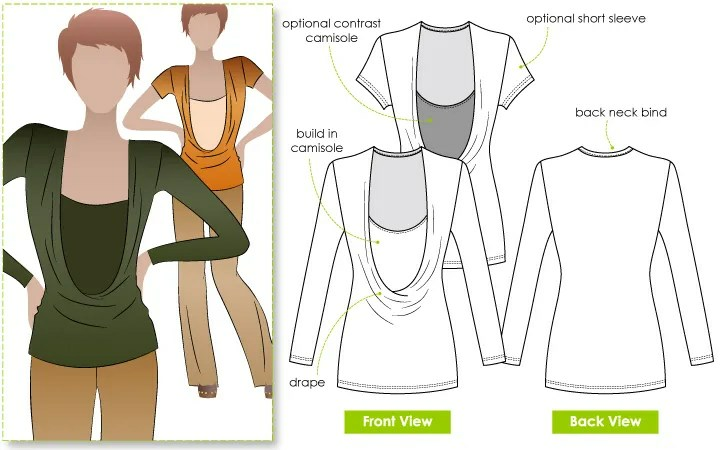 I want to make view A of Burda 7220, the version in the lower right corner. Yes, the mullet top. I don’t know – I’ve been won over by them! I almost bought the new vogue that’s similar, but they were out of my size, so I went with the Burda. I have a turquoise lawn – it would be lovely with a pair of white pants like the model’s, although of course I don’t own any such garment! I really love the second dress – it’s so mod! I will use ponte knit. I have a red for the center stripe, and dark navy for either side. I’ll plan for this as a fall project, as I know I’m not getting to it for awhile! I love warm weather – partly because I am eternally cold, but also because I love the clothes. I wear dresses in the winter, but it never makes me happy the way that a sundress can. I love bright colors and prints. I love that I don’t have to plan my outfits as much, since I don’t have to wear tights! I’ve spent a bit of time this week ordering a few fabrics, and I’ve created some storyboard ideas. They aren’t the best storyboards, but what they do is give me a better idea of how something will look – especially if I can manage to get the scale right on the prints! 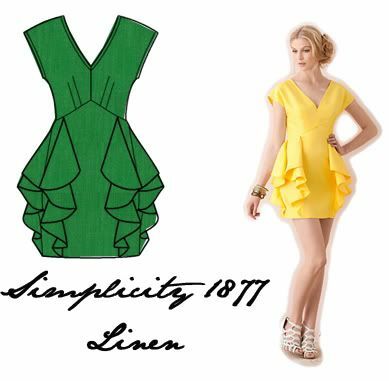 Simplicity 1877: Simplicity has two patterns in their Spring line designed by Leanne Marshall (the season 5 winner of Project Runway.) I loved her designs on the show, so I’m excited! This dress is not likely to be anything slimming, but I’m ok with intentional proportion changes (I like tulip shaped skirts, right?) I like the other pattern in the envelope too, which has interesting pleated shoulders and a different (more normal) skirt. This fabric is a rayon/linen blend… I’m thinking the side pieces need a little crispness. 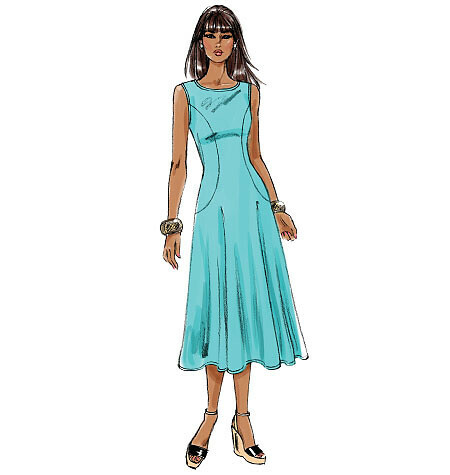 Simplicity 1881: This is a new pattern. 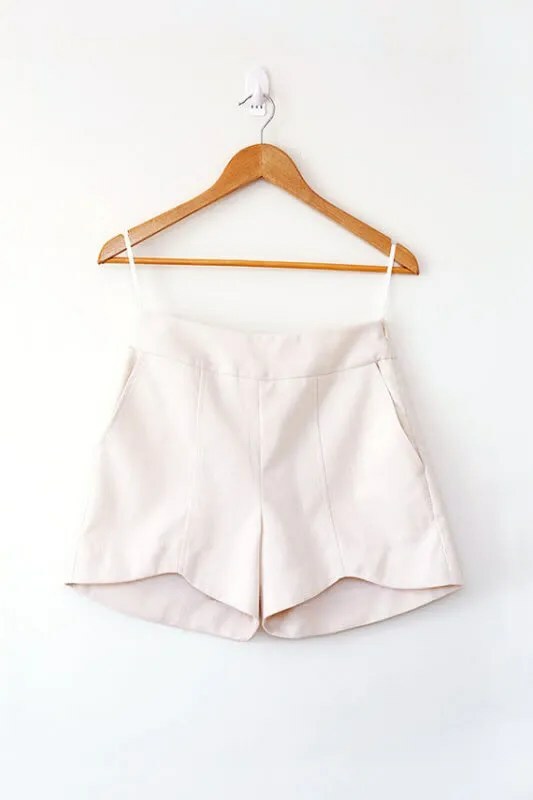 I like the other version of the skirt too – it’s longer in the back than front, or what I call a “mullet hem.” This fabric is white on the back, so I can’t use it for that purpose. 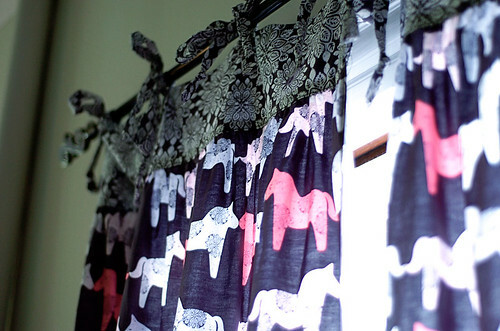 I bought this fabric quite awhile ago, and then it has sat in my closet due to the fact that it’s kind of crazy. I think it will make a nice summer dress though – if I’m not traveling anywhere tropical, I can at least feel like I could wear my dress there! 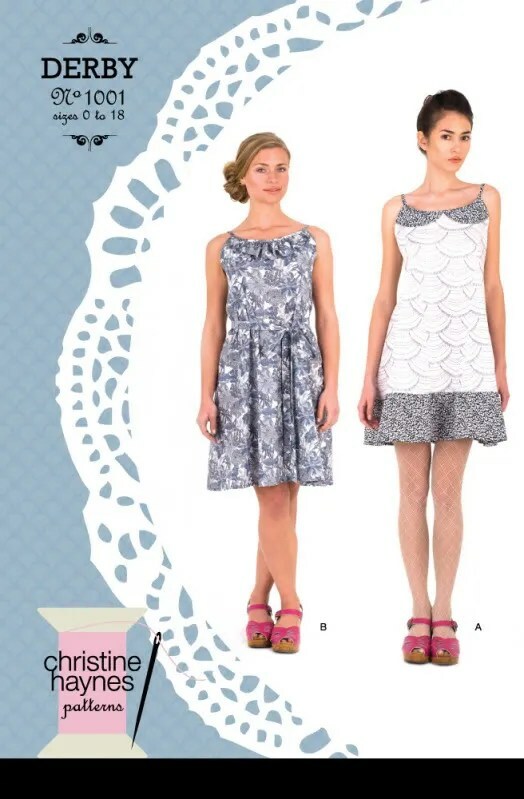 Simplicity 1872: The new Cynthia Rowley patterns are slightly less sack-like than her past offerings, which make me happy! 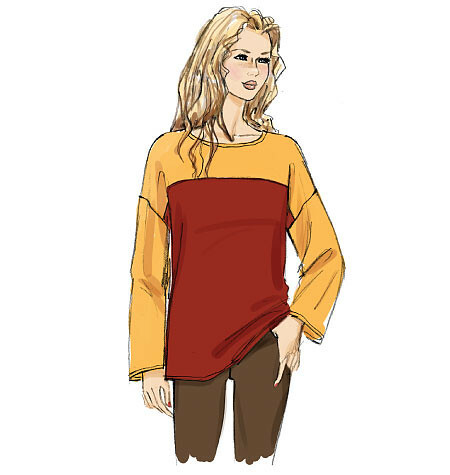 You know, I want to like her designs (this is for her retail line) but they don’t seem designed for my body type. Luckily, both of the new patterns will work for me. 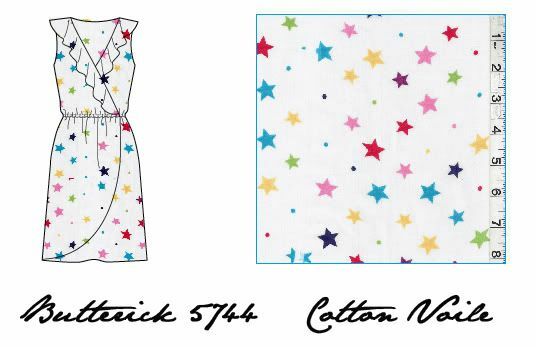 I bought this cotton lawn last year – it was a bolt end, so I have tons of it – lucky since this dress is a fabric hog with all those layers. The top will need to be lined, as this fabric is rather sheer. I think the skirt, with all those layers, will be fine, depending on construction. 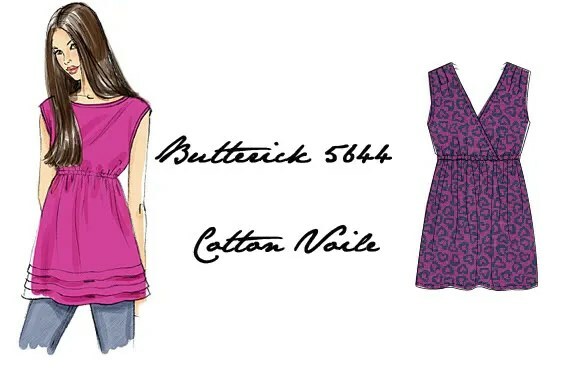 New Look 6093: I’ve never made a New Look pattern. This one suffers from an incredibly terrible pattern photo, which seems common for the line. I think I may have worn that dress to my 8th grade formal… in 1993. 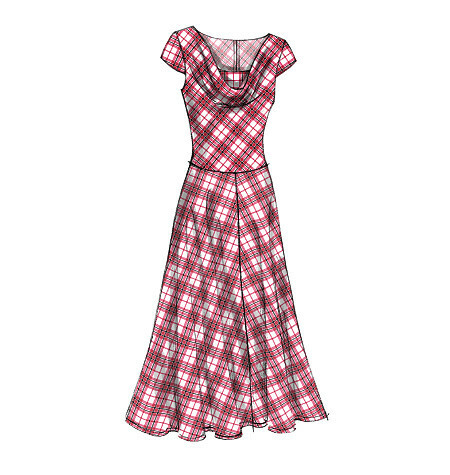 Looking beyond that, the dress is described as “1940s inspired.” Um… yes, I will buy that. 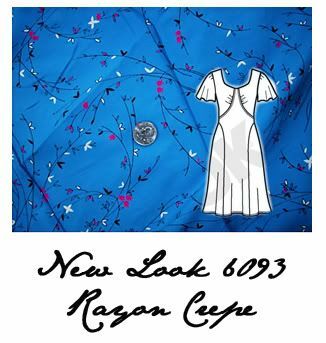 I plan to use rayon crepe, which should hang nicely on the bias. 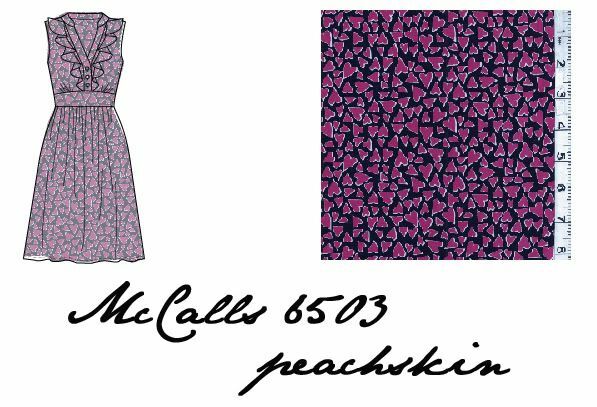 McCall’s 6507 is a Tracy Reese design. 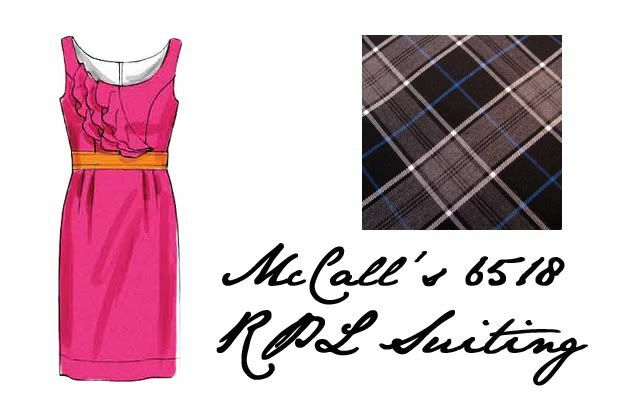 I’m thrilled to see her lower end line, Plenty, get reproduced at McCall’s. I really like the front overlay on this dress! 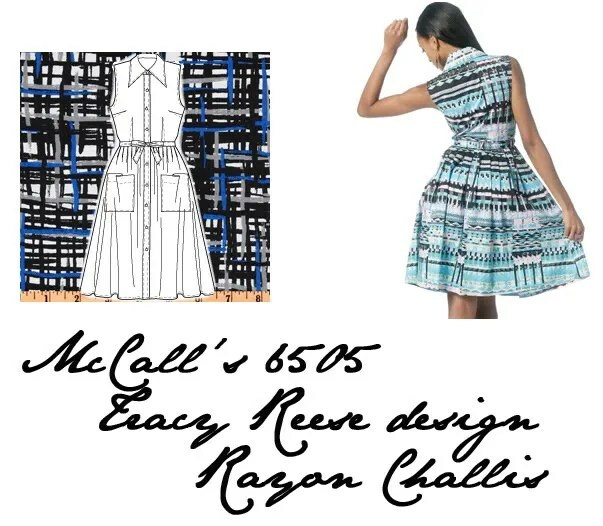 McCall’s 6505 is another Tracy Reese design. I like these better than the Vogues this season, because the Vogues are on the clingy side and I prefer full skirts. 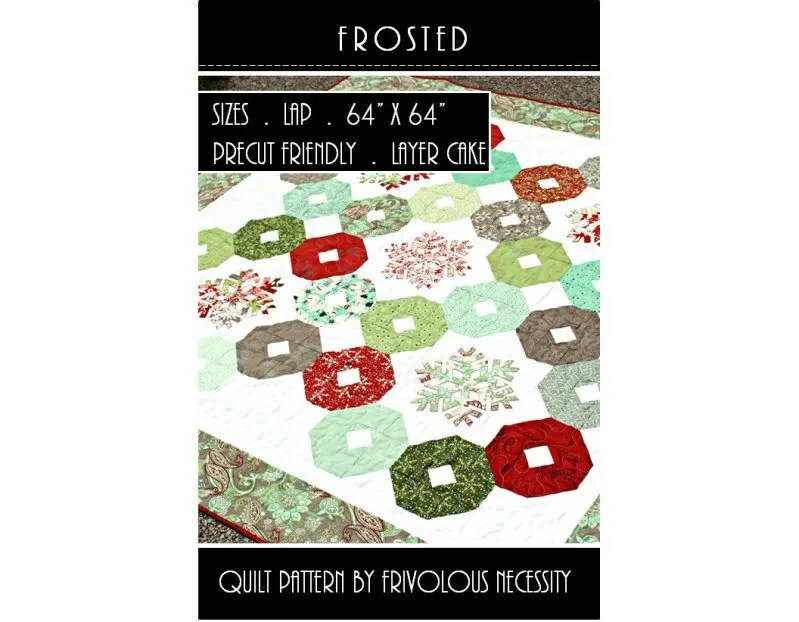 I haven’t actually received this fabric – I bought it from fabric.com and it should be here tomorrow! It will likely need to be lined. I somehow ended up with two heart print fabrics. Maybe it can be a theme? 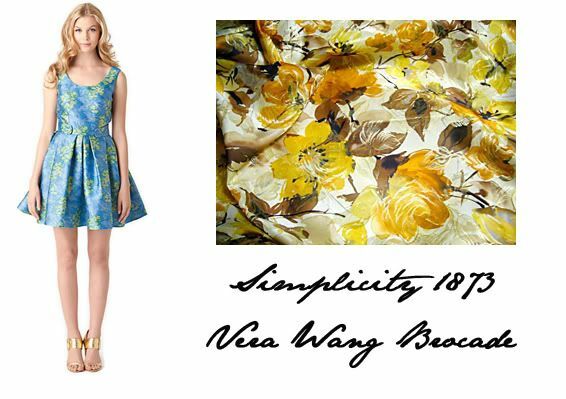 Simplicity 1873: I bought this brocade when fabric.com had it (back in 2009?) I have since been stumped by how to use it. I think it has a certain retro 60s appeal, as does this Cynthia Rowley design. I have hope that it might be cute, and if it’s not then at least it can leave my house! It is on the stiff side, and I worry how it might work with a full skirt. 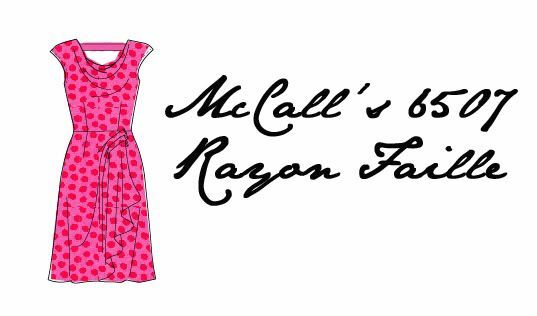 McCall’s 6518: I plan to cut this with the skirt and bodice on the straight grain and the ruffles on the bias. 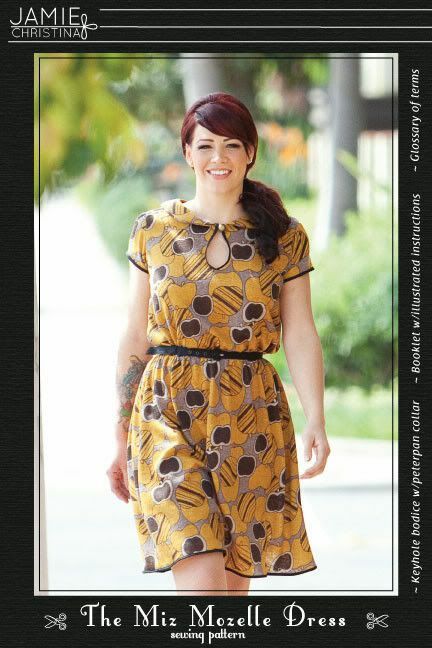 There was a similar dress at Anthropologie a few years ago, and I’ve been looking for a suitable pattern ever since. I like this one because it’s not too complicated! Vogue 8791: I can’t decide whether I should be afraid of the pose or not. Sometimes a particularly kicky pose means the design looks strange if you stand normally! I want to try it though – I think it’s a really interesting style! 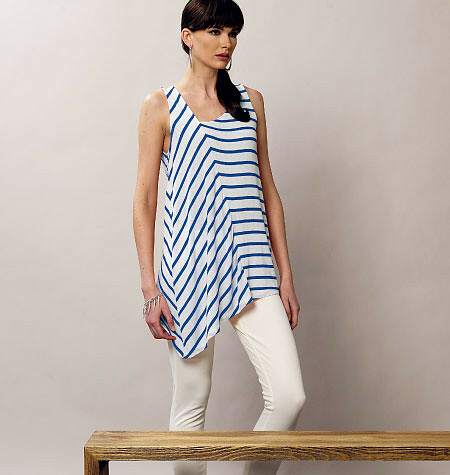 Vogue 1158: This depends on whether I can match the stripes in the amount I have. I have 3 yards, which is more than the dress calls for, but matching stripes can be very tricky!